Time to Get Your Next Paint Project Done with Best Look Paint in Upton Kentucky!! 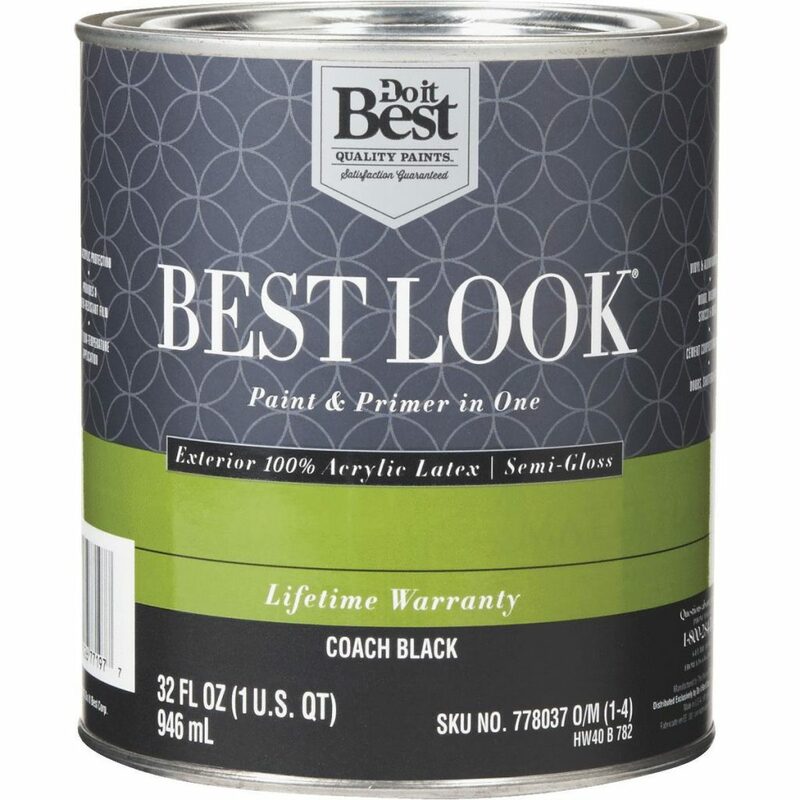 Have you been wondering about Best Look paint? Jones Home Center wants to answer some of your questions about our paint. Semi-Gloss Paint: Our new interior or exterior paint is formulated with 100% acrylic resins for durability and colorfast performance. Use on most exterior building surfaces including wood, masonry, stucco, and metal. It is resistant to fading, peeling, and blistering, and covers with 1 coat when applied over properly prepared surfaces. Covers approximately 400 Sq. Ft. per gallon. Recommend priming new wood with Do it Best latex or alkyd exterior wood primer. Dries to the touch in 2 Hrs., and to recoat in 4 to 6 Hrs. Apply with a brush, paint pad, or sprayer. May be thinned slightly for spray application. Easy to clean up with soap and water. Available in tint bases and packaged colors. Low-temperature application down to 35 Deg. F.
Satin Paint: The soft decorative sheen compliments any decor while providing 1 coat coverage on interior primed plaster, metal, wallboard, wood, and masonry. Our new formula offers the finest quality interior wall and trim satin finish enamel. Provides a scrubbable finish that is spot and stain-resistant. Apply with brush or roller at package consistency. Apply at temperatures above 50 Deg. and at a rate of 400 Sq. Ft. per gallon. Allow 4 Hrs. drying time before applying the second coat. Clean up spills and equipment immediately with soap and warm water. Over 1000 custom colors available. Flat Paint: Our top of the line enamel for interior use. Over 1000, custom mix colors are available. Features excellent washability and resistance to spotting and staining. Dries to touch in 1 hr. Allow to dry 6 to 8 Hrs. before recoating. For use on properly prepared walls and ceilings, wood trim, wallboard, primed plaster, brick, or masonry surfaces. Coverage is 400 Sq. Ft. per gallon, and can be applied with a brush, roller, or spray. Clean up with soap and water. Eggshell Paint: A low sheen paint ideal for surfaces that require greater spot and stain-resistant and scrubbability than flat paints, but without the sheen of a semi-gloss. Over 1000 custom mix colors available. Can be used on properly prepared surfaces of drywall, plaster, wood, masonry, and metal. Dries to touch in approximately 1 hr and can be recoated after overnight drying. Has low odor and applies easily with brush, roller, pad, or sprayer. Covers approximately 400 Sq. Ft. per gallon. Clean up with soap and water. According to GOOD HOUSEKEEPING: This paint scored excellent in spatter results and dry time making it very easy to use. It's low VOC (volatile organic compound) and suitable for any room in your house that receives a lot of sunlight because it won't weather rapidly. It won't stand up to a lot of roughhousing though, so a play area may not be the best choice. If you are in the area, and starting a new project...stop in to see the experts at Jones Home Center in Upton Kentucky! All of the Best Look paints are backed by a lifetime warranty. Tint bases and 4 package colors available. We offer paint color matching and have personal service.